This summer the Government will publish its White Paper on Water. This is an important opportunity to safeguard the health of our rivers and protect freshwater wildlife for the future. And we’re calling on our supporters to take action to help protect our rivers. For my first trial of the “Mark II”, I chose the well-known “Shopping Cart Pool” of my local stream. A cooperative Nature called when I was mid-river — and Science answered! Confident that a sufficient amount of liquid had passed through the catheter, I switched the vacuum pump on and…experienced the most unusual sensation. Perhaps it was disconcerting to my fellow anglers to have someone shouting “Yes, Yes, oh Yes!,” while fishing. One lad called out to me, “What pattern?”; “Pisscalator!” I screeched back. More good news. Waterlines is back and Warren is once again posting some of the most readable fishing related stuff on the interweb. Amongst his latest offerings are a couple of short videos of rising fish. 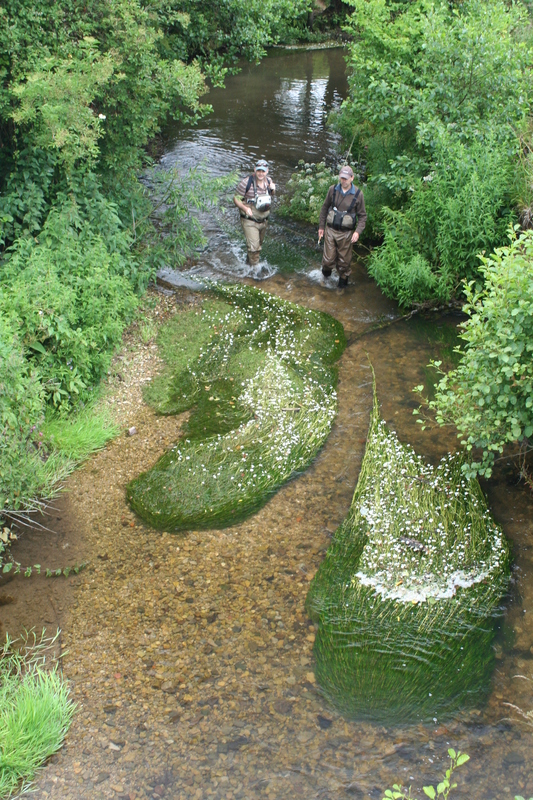 Mopping up shows a confident fish rising again and again to a stream of duns – a great contrast to the ‘oncers’ I see rising on the Little Avon; and Nervous feeding shows exactly that – a series of snappy rises from a fish that looks like it would cut and run at the first hint of danger. Great observation and no mean feat to get it all on video. It’s a rich blend of troutbums, troutnuts and troutlaws, and at the end of the day they all come together to share their stories. When it’s really hoppin’, Craig is like summer camp for grownups. But with liquor, a jukebox and really big trout. angelic) is goaded to madness by the laws of matter and of gravitation. These wise words were penned by Andrew Lang who had several articles published in various periodicals in the late 19th century, later they were appeared as a collection and published by Longmans, Green, and Co. I have made this collection available to read in the Pages section under ‘Angling Sketches‘- enjoy!